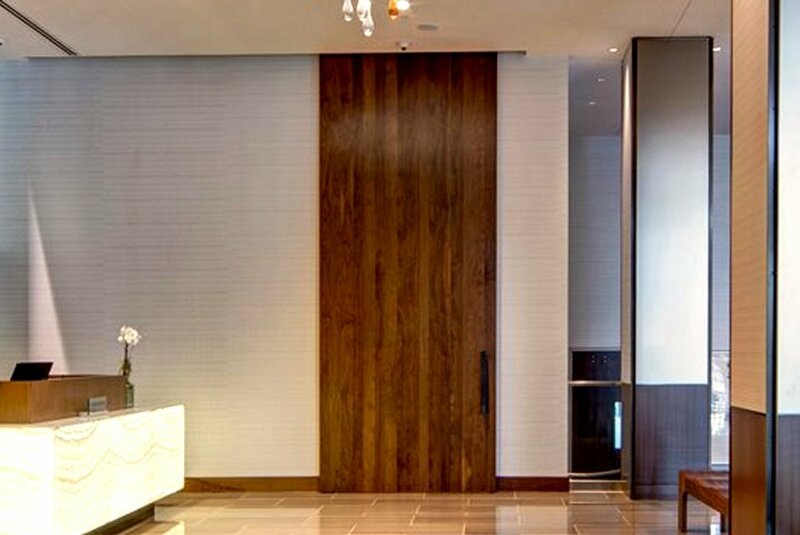 The experts at Large Sliding Doors rise to the occasion in support of those specialty sliding door projects which might present execution issues with the finest designs of the most advanced designers and architects from millwork to installation of the best sliding doors which can carry our exclusive 50-year warp free sliding door guarantee. 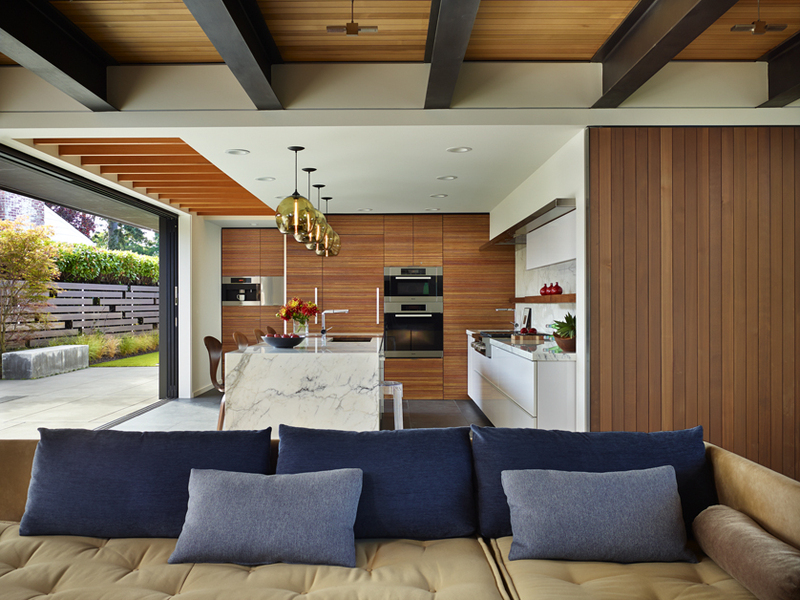 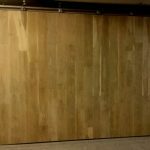 Sliding barn doors are making their appearance among the most stylistic high-end homes as well as commercial applications. 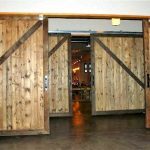 Sliding doors are pretty much all the same, and the same problems keep showing up in sliding barn doors as in any slide doors. 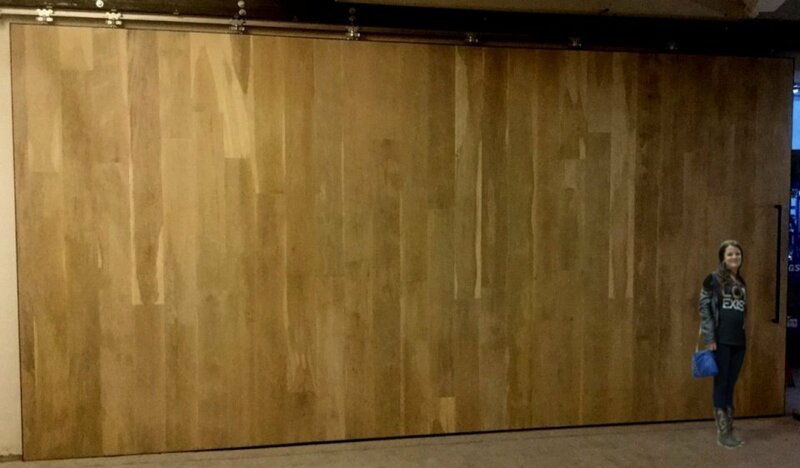 The best results with any interior sliding doors can be achieved due to not being exposed to the weather which is a huge advantage when approaching the idea of a wood-based sliding door design. 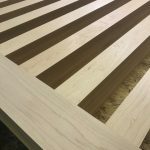 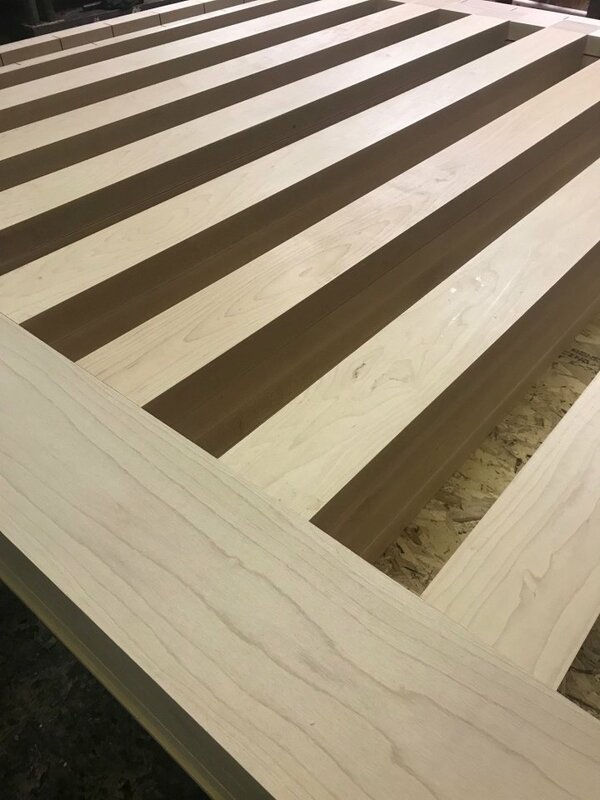 The fact that the slider is an interior slider is hugely beneficial, but warping is still an issue for natural wood because wood is alive, even after it has been fashioned into interior sliding doors. 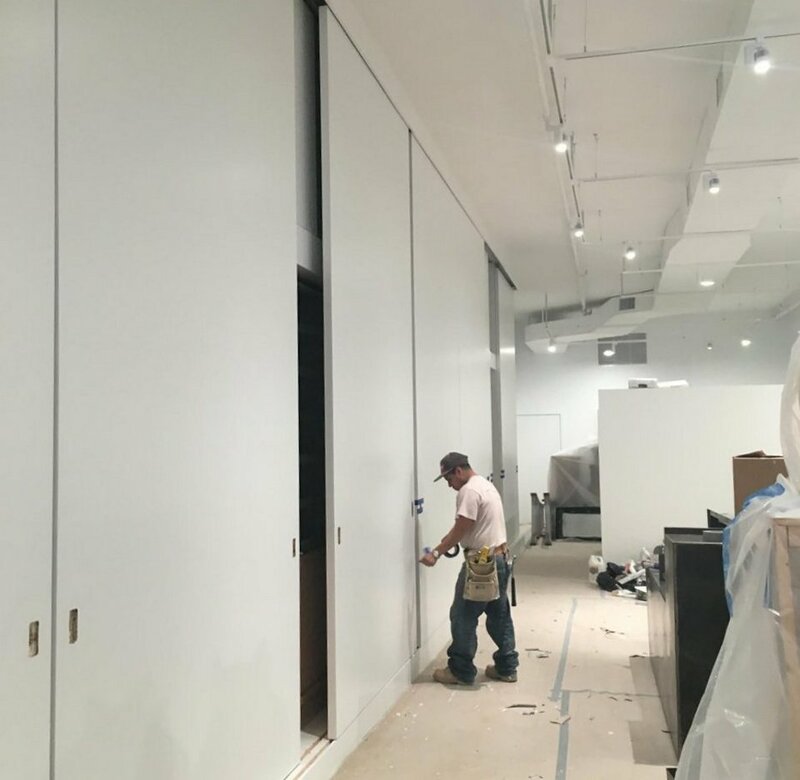 Internal sliding doors can be made with our patented sliding door core material which transforms any interior sliding door into a sustainable, long-lasting, warp-stopper for the most high-end jobs and applications. 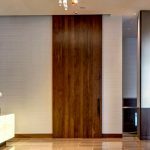 There are many different approaches to designing and building interior sliding doors for the greatest result. 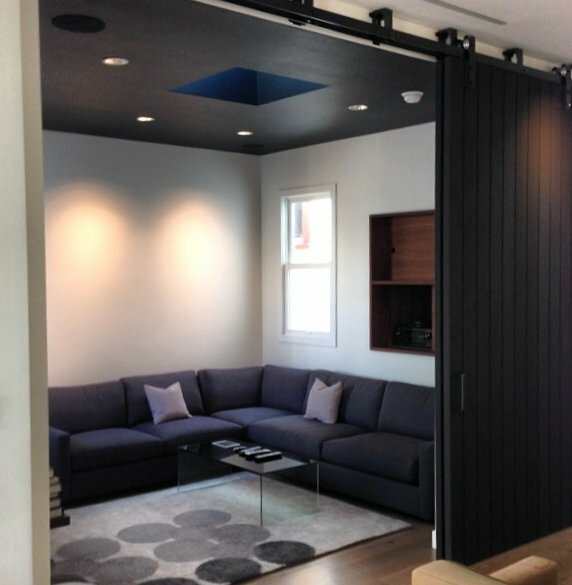 By using patented Large Sliding Doors technology, your internal sliding doors can be Eco-friendly, lightweight, insulated for sound deadening and climate control, while being stronger than steel pound-for-pound, no other sliding barn doors can do that, with the highest precision (+/- .006 in.). 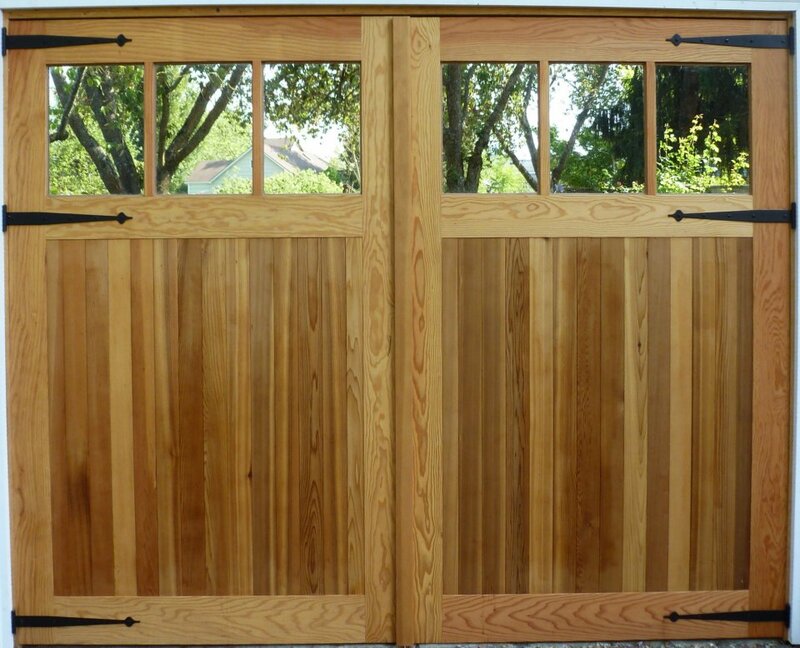 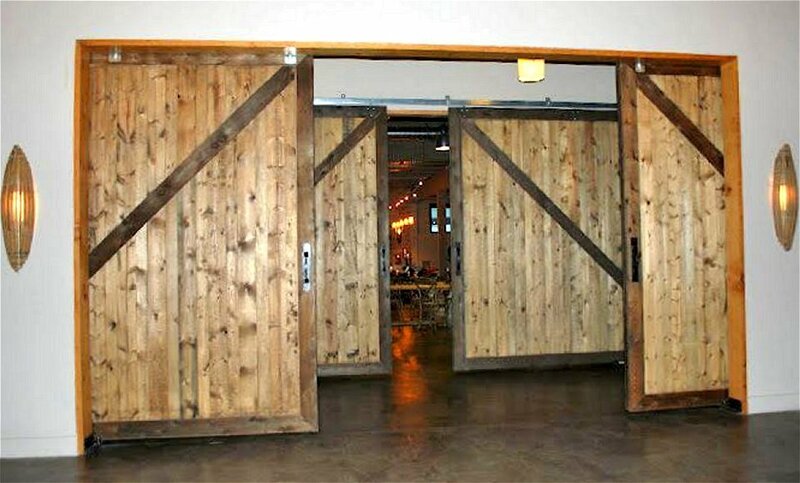 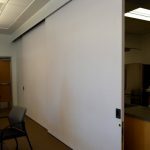 Wooden sliding doors are no longer a problem for warping, even if they are large sliding doors over 8 ft. tall or wide. 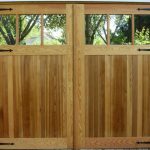 Now, you can have all the precision without all that excess weight and never (or at least for 50 years) have to worry about warping wooden sliding doors. 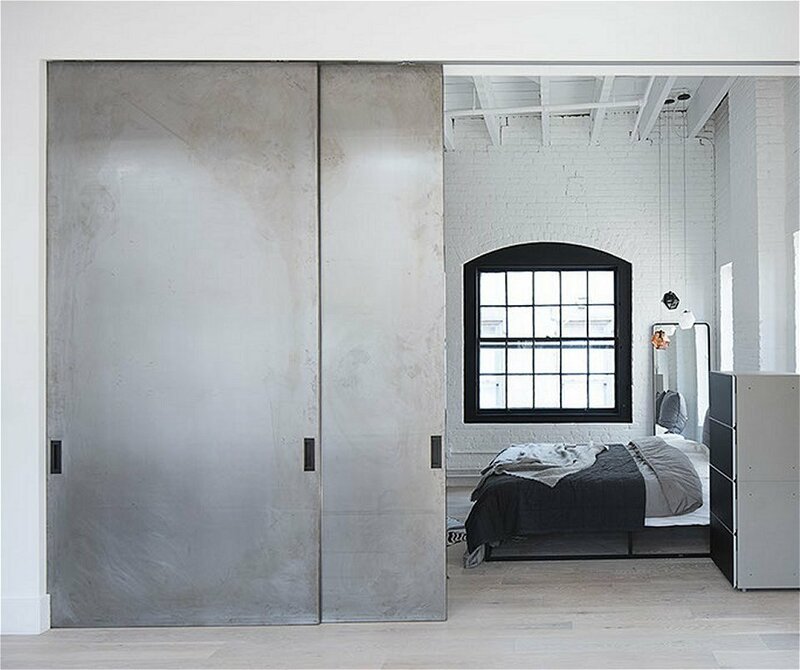 Another application gaining ground among the leading-edge architects and designers is incorporating mirrored surfaces where one might expect to find lite openings and glass inserts. 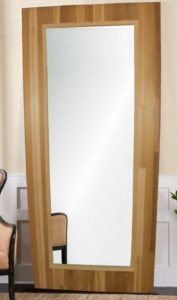 In effect making sliding mirror doors with large openings such as one might expect to see in sliding French doors, or smaller more ornate inserts, where one might expect to look through the interior sliding door but are surprised to find yourself staring at your reflection in the mirror. 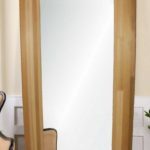 Sliding mirror doors can be problematic because if the sliding door doesn’t remain perfectly straight, any unexpected deflection could not only compromise the door, but break a delicate mirror insert. By using our patented Large Sliding Doors rock solid substrate, your results product out infamous unbreakable sliding mirror doors, which are also used for mirrored carriage doors which are also becoming more popular. 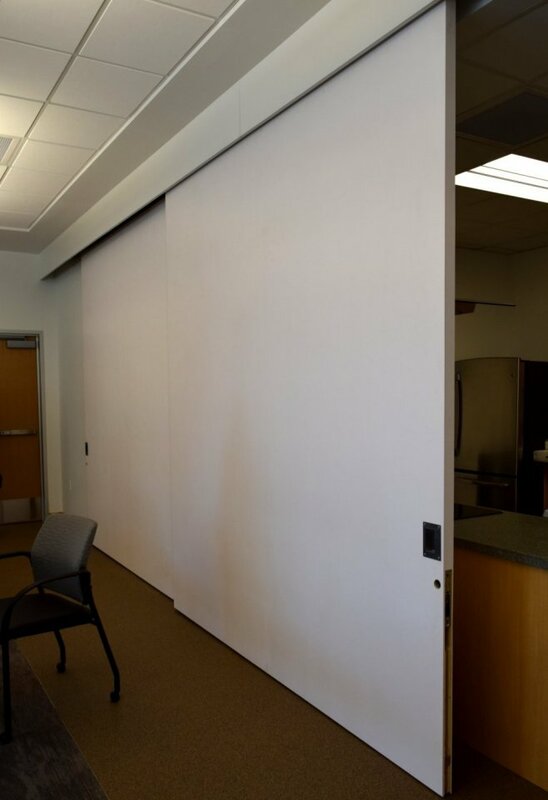 Large sliding doors room dividers are also very popular. 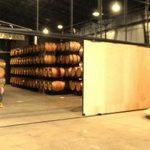 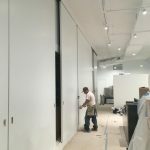 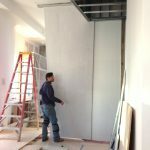 Most of our sliding doors room dividers ship to the greater New York area, but as also seeing growth spurts throughout the United States as well. You can easily understand why someone from New York might reach out to us, as the sliding doors room dividers are insulated, which reduces sound transmission, and cuts down on heating costs in the winter and cooling expenses in the summer. 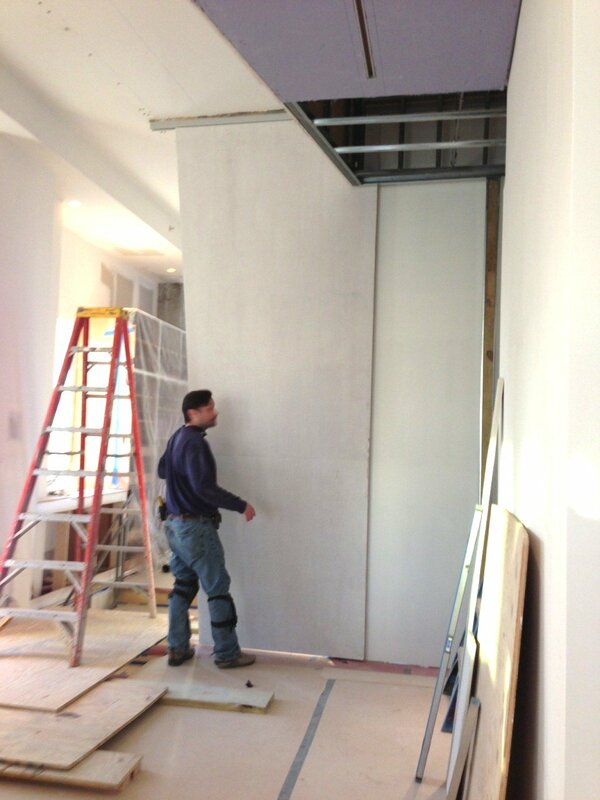 Better room separation is the name of the game, when you want a little more privacy, or added safety and security. 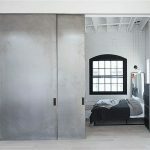 All that to say your indoor sliding doors could be the most uniquely designed and fabricated slide doors in the world, guaranteed to give you flawless service and warp-free performance, with unparalleled longevity for a sustainable solution which is guaranteed for 50 years, regardless of the size of your big sliding doors. 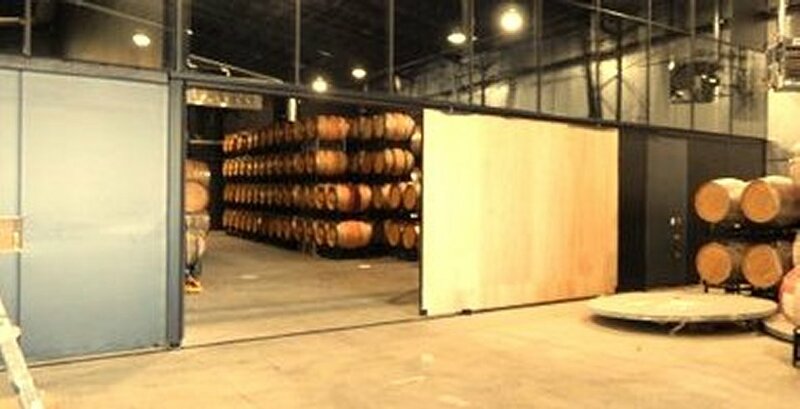 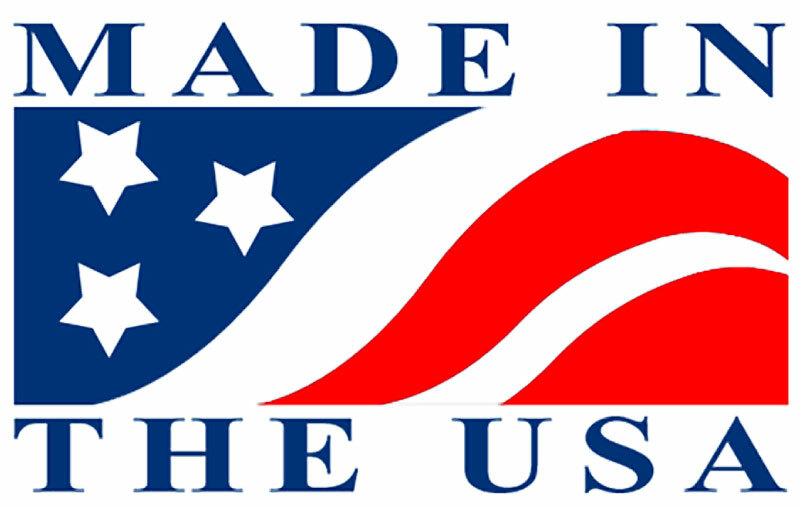 Large sliding doors is proud to supply you with the large doors that outperform anything else available whether you’re using indoor or outdoor sliding doors, your sliding doors could be not only the best sliding doors, but they are also proudly made in the USA from local-sourced materials in the Pacific Northwest, for the Eco-friendliest door in the world.